Earlier this week, I read an article on nextavenue.com titled, When You Are Shamed for Moving a Parent into a Care Center. Author and gerontologist Rachael Wonderlin wrote of caregivers being harshly criticized for placing loved ones into long-term care communities. This article resonated with me because I was a caregiver for my late father and also made the difficult choice of moving him into a care home. I had hoped relatives and friends would be supportive of my decision. Instead, they were outraged and accused me of being an unfilial daughter. Together with the staff, we wished Dad a happy birthday. Dad lost mobility in his legs yet he would often jump out of bed and land on the floor at night. Incidentally, putting rails on the side of the bed did not work. We then placed a mattress on the floor, but he would wiggle off and bang his head on the wall or furniture as he attempted to maneuver his body. Dad developed difficulties with swallowing but would refuse to eat soft, pureed foods and often threw plates on the floor in anger while blaming Mom for his situation. Dad became agitated every night and would yell and bang on the walls until daylight. Me, Mom and Phu, my husband, took turns through the night to stay with Dad to soothe him. I developed chronic insomnia, Mom had fainting spells due to blood-pressure spikes, and Phu sometimes fell asleep at the wheel during his 40-minute commute to work. 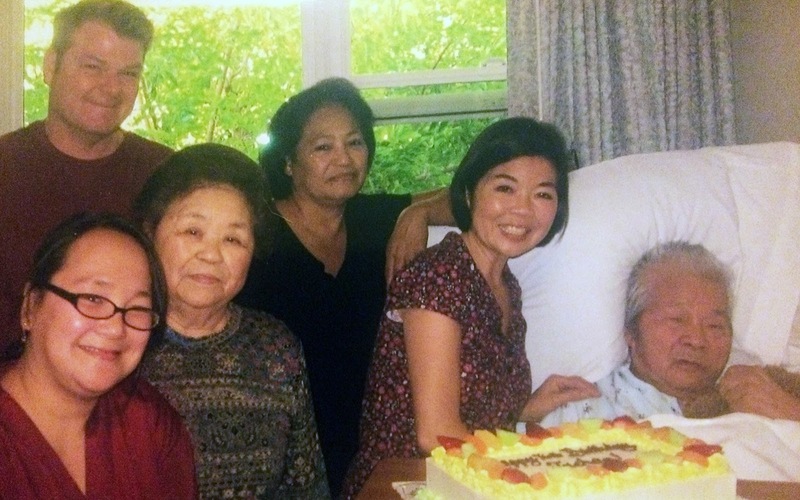 We hired caregivers to assist Dad, but we could not afford round-the-clock care. Needless to say, I opted to find a long-term care home as Dad's safety became the biggest concern. As we moved Dad into a care home, we were shunned by family friends. 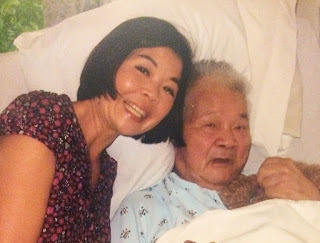 Even so, I continued to do my best to ensure that Dad's quality of life would not be compromised. It was by no means a perfect situation, but Dad's condition stabilized as he ate balanced meals and received the support he needed from a warm, caring staff. In addition, my parents' relationship improved as Dad began to express appreciation for Mom for the first time in over 40 years of marriage. I had also become closer to Dad, as I visited him daily to keep him company. Since Dad's passing in 2010, I've earned a Master's in gerontology and learned about resources and information available for family caregivers. As I reflect on my experience, I firmly believe that caregivers need understanding, encouragement, and a caring community of friends and family. Guilt and worry come second-nature to many of us, so please stop the shaming and offer a helping hand or a shoulder to lean on! On the subject of long-term care facilities, I recently had an opportunity to share my tip for family caregivers on the Association for Long Term Care Planning (ALTCP) website. ALTCP is a nonprofit organization providing free information, resources and expert advice on planning for long-term care -- what a great service! Here is the blog post: 20 Experts Talk: DOs and DONTs When Visiting Mom and Dad at the Long Term Care Facility. It was an honor to be included among caregiving experts I trust and respect. Together, we are all part of a wider community supporting caregivers who unselfishly look after their loved ones everyday.